With the advances in information technology that are occurring today, many industries are required to adapt and keep up with emerging technologies. Hospitals are no exception. The healthcare industry is currently undergoing an IT revolution, with devices being innovated and implemented daily. Many of these devices make hospitals workers, such as doctors and nurses, better able to perform their jobs. 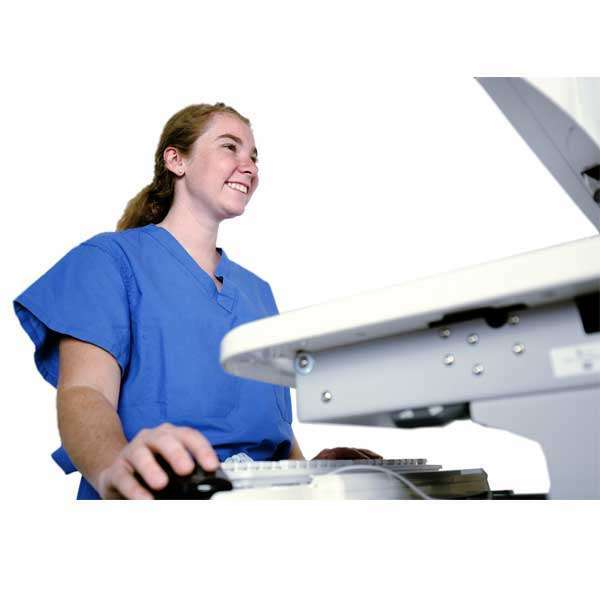 Some IT makes their work easier and more efficient, and it improves patient safety. Hospital carts on wheels are one of the technologies that have positively impacted the healthcare industry. Workstations on wheels in hospitals, also known as WOWs, ensure that errors are reduced, and that operations and productivity are optimized. Although technologies within the healthcare industry are constantly changing, hospitals rely on the storage of electronic information. Electronic databases are required to safely and securely store patient history, medications, and records. 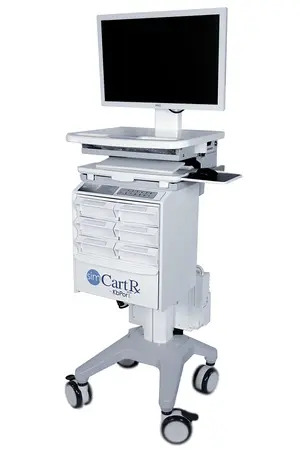 Hospital carts on wheels, new or pre-owned, are a necessary tool that brings this electronic information directly into patient rooms and allow doctors and nurses to access and update that information as they are interacting with the patient. To keep up with emerging technologies and the efficiency required for those working in healthcare, hospitals need to ensure that they are able to have information at doctors’ and nurses’ fingertips. With long-lasting batteries, mobile workstations enable nurses and doctors to accomplish more during their shifts. Nurses can conduct check-ups on the spot, rather than going back and forth between a stationary workstation. Doctors travel throughout the hospital to provide their care, and with mobile workstations, they are able to access patient records for test results, patient history, and medications, without having to return to a central station between each patient. All this saves time and frees staff to spend more of that time listening to patients, which often leads to better care. When the frontline staff of a hospital is more productive, not only does the facility have the opportunity to earn more money, but it can also benefit the community as a whole by enabling doctors and nurses to see more patients per shift. More people will receive the care they need in a quicker and more efficient manner, and patients will be released from the hospital sooner. Reducing errors in record-keeping and improving patient safety are among the top priorities of any hospital. When nurses and doctors can input information right away, at the moment that they are speaking with a patient, this reduces the likelihood of them forgetting something, or entering it wrong. WOWs can also be used to facilitate safer and more correct medication dispensing. By taking away the factor of the human error, integrated medical delivery systems can bring patients the medications they need, in the correct dosage. This further improves patient safety by ensuring that patients will be receiving the right medication. Whether hospitals are ensuring technical efficiency, optimizing productivity, or reducing errors, hospital carts on wheels are a necessary tool that should be implemented in every facility. These workstations on wheels in hospitals bring electronic information directly to where it is needed, helping you provide the best possible care to your patients.